In just under 2 hrs from now, as I draft this, we will be subject to an annular solar eclipse. Those in Africa, who will see the full eclipse, will observe a ring of fire at its zenith. Alas, we are too far north, here in the UK, to even see a partial eclipse. BUT…. All but the last two have hard aspects to the Sun/Moon conjunction – which, in simple terms, means the possibility of conflict, tension, upset, strife, rebellion and revolution. BE WARY!!! Now there ain’t a lot I want to say about what might or might not happen on a global level so I’ll stick to the advice I am trying to take heed of for myself, personally – and I’ve already had one run in! You may find yourself desirous to do something which the adolescent you wants to do (eg drink, smoke, gamble et al) but the mature you is saying “hold back”. Saturn is around to help you set boundaries and keep your focus on what’s best for you, specifically your physical and emotional self. But if you step outside these boundaries then Saturn might well return any transgressions, you make, back to you – only amplified. Watch your back, stay alert. Something or someone may sneak up on you and cause an upset. If you see it coming, stay cool. One or all the above may invoke a disconnection. This is not because of someone being right or wrong, it’s about people not being able to see others’ perceptions. By standing back, staying cool by rising above the situation, you will see it for what it is. And you will be secure in the wisdom it brings – so that any decisions you make, as a result, are better informed. Avoid making a rash decision which is often Mars’ wont . Situations (events and people) can affect your emotional state. The reverse holds true too; inducing that same emotional state will manifest those same events and people into your life. Manifesting is not attracting. It’s creating something that’s already there, yet unseen, vibration. This is the paradox of duality. For ‘something’ to be present, ‘not-that-something’ also exists, at the same time. For example, when you ask someone to marry you, they may say, “yes” (success) or “no” (not-success). You know the shape of a building because the air around it is not-that-building. So how can you apply this principle to life and death? Answer: it requires a fundamental reframe. The opposite of death is not life, it is birth. Life is eternal. 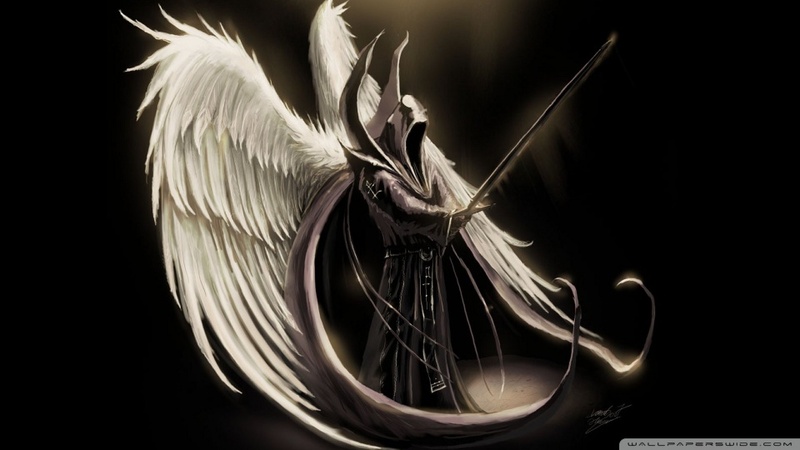 You can only bring death to, or kill, that which you have power over (i.e. the properties of things you own or control): your personality, your feelings, your outlook – and how you perceive, and thus respond to, the information you amass through your five senses (sight, sound, touch, smell and taste). You do not have control over the events and people in your life – but you always have control over how you respond to them. Author’s extract from Defrag your Soul: If you perceive life negatively for a few hours, people will think you’re in a mood. If your negativity lasts a few weeks, others may think that you’re depressed. If your negativity sustains over a longer term, others will define you as someone with a negative personality – or of a negative character. All that happens is the result of character; the only manner in which the destiny can be changed is to change the character … (and) can be markedly altered in any direction desired. Strength of character comes not from a life of ease and tranquillity but from a life in which our hearts, minds and sometimes bodies are pitted against forces we do not understand. Change in your consciousness is only brought about by changing your character; ergo, changes (preceded by deaths) to certain aspects of your personality and feelings, which in turn are shaped by the framework of how you perceive the information you gather through your five senses. Life, at some level, is thus about opening, as Aldous Huxley so eloquently puts it, the doors of perception AND shaping your character accordingly and consciously. 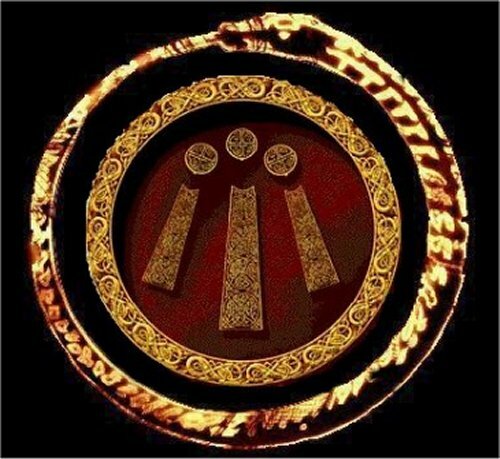 As you open the doors, you waken to the framework of what-is and what-is-not, the principles of spirit and matter, the Laws of the Light, the framework of truth borne of justice, just-is. It requires focus, imagination, faith in yourself, and a cleansing of the mind. Thus from their minds all errors to uproot. To know love, for example, you need to know not-love. So learning not-love serves a purpose. You are indirectly learning about love. And you won’t experience love wholly until you complete your learning. Here lies the rub of duality. This is how life works. Be clear that what you imagine will bring you what your soul seeks. And know that all the things you experience – that you don’t want – serve a purpose. My forthcoming booklet describes three fundamental deaths (or reframes) to aspects of personality, feelings and perception of what-is and what-is-not – or as the story of Merlin portrays, The Threefold Death. These three reframes are fundamental to your wakening. 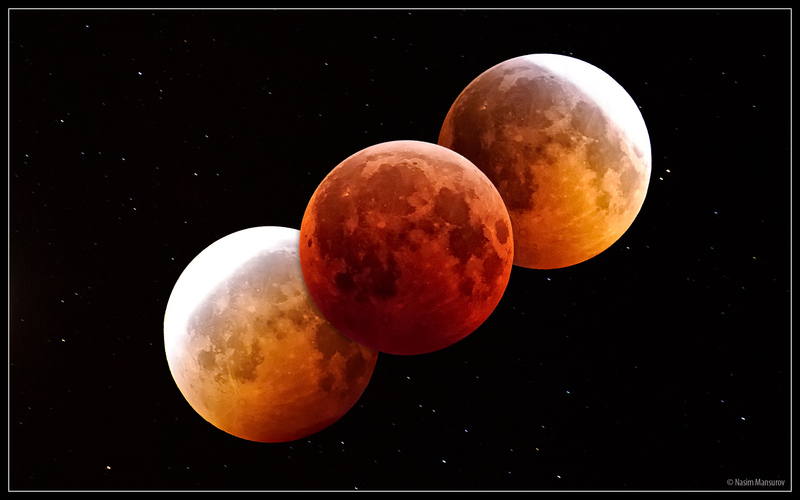 Although not visible from UK, you can still enjoy the opportunity the Lunar Eclipse brings the whole earth. It begins around 11am BST. 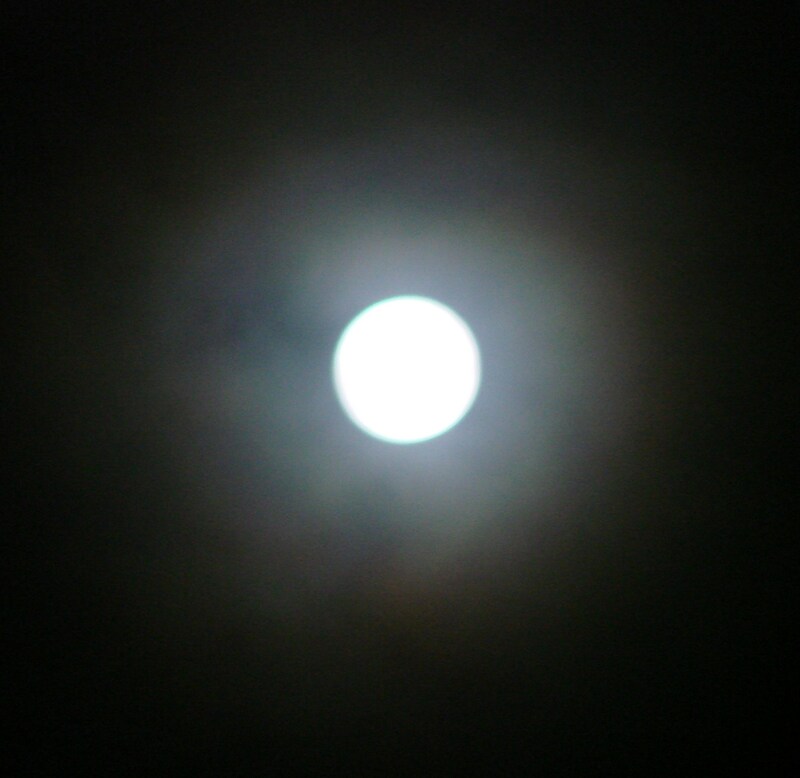 The moon reflects the light of the sun outside and inside, in our emotional world. An eclipse turns the moon dark red which means we can look within and, albeit temporarily, investigate the darkness within. 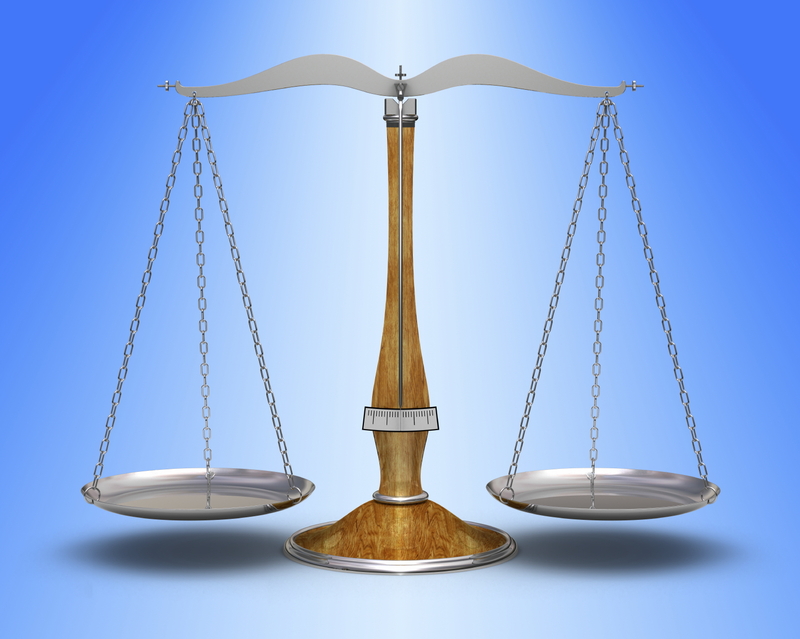 Libra, the scales of justice, encourages us to judge and bring balance into our lives – the harmony of self. Justice,’just is’, means assessing what is and what is not for what it is and is not, without condemnation. What is it that you think, say and do that makes you feel not good? What happens to whom when you think, say or do these things? How do you feel inside? Angry, Ashamed? Hurt? Fearful? What would happen instead if you did not think, say or do these things, not – things, nothing? ‘Judge’ does not mean ‘condemn’. Be ok with your vulnerabilities and dark feelings. Close your eyes, and imagine placing them in a bubble in front of you. Shine light into the bubble. And when your ready, allow the bubble to float into the infinite void of self-forgiveness within. Image courtesy of, and can be downloaded as a wallpaper from, photographylife. See what this eclipse will look like to those in the Pacific Rim. The Lunar Eclipse reaches its zenith at precisely 9:35:18am here in Hove, East Sussex, UK. The transit takes place at 29 degrees, Pisces, the most fantastical of the signs. Pisces brings us both the dreams of the cosmos (truth) and the world of illusion. Neptune, ruler of Pisces, now swims in its vast waters and will continue his journey through Pisces’ constellation for another eleven years. See Neptune Plunges into Pisces, 2012-2026 . The Pisces/Neptune effect will thus be at its strongest. Furthermore the transit occurs in the last degree of Pisces which is a fractal of all the power and influence of the whole constellation. The eclipse also precedes the Spring Equinox, the time to break through the surface to the light of summer which can only succeed when the seeds of our actions are rooted in truth. Another biggy in the sky is Uranus (in Aries) squaring up with Pluto (in Sagittarius). 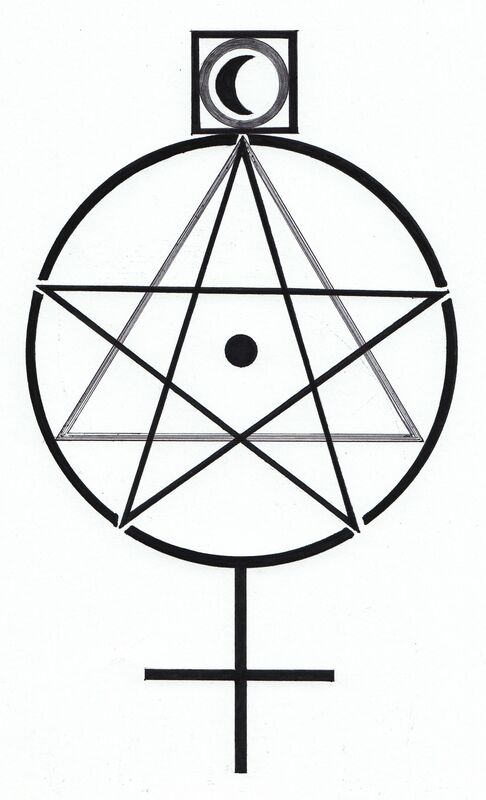 The result is a huge tension between the revolutionary Uranus and the god of the underworld (death and transformation). So if you’ve been feeling the need for some radical change within recently – it’s probably down to Uranus and Pluto making their weight felt. In summation, this solar eclipse could be far more powerful than we realise – and it heralds a time for change – global and personal. 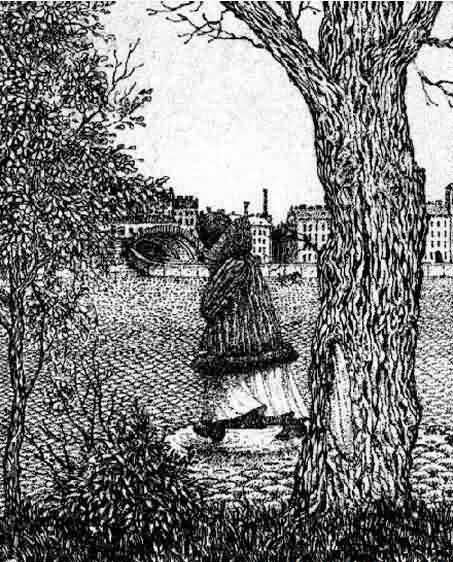 Discernment – between what is (true) and what is not (illusory) – is key. 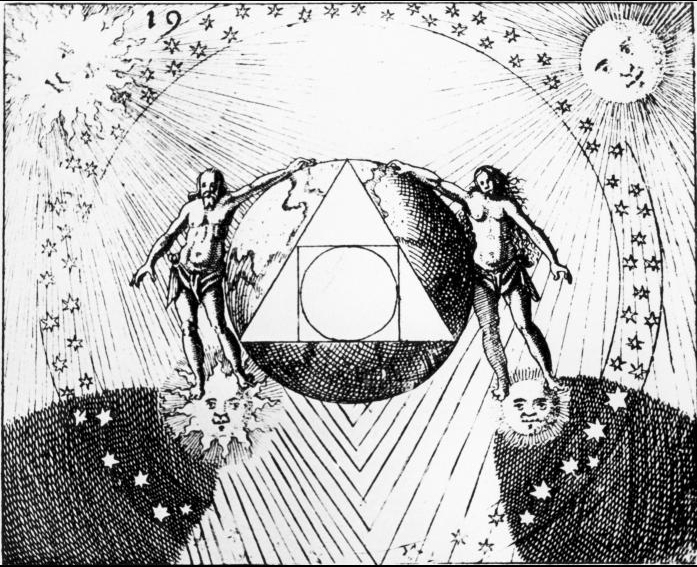 The magicians of old spoke of the circle (the eternal body) within the square (the physical body). We live in the mother matrix (square) of this earthly realm, within which we find the eternal circle of life and death. During the eclipse, the eternal circle of the sun is broken and interrupted for a couple of hours by the intervening moon. We lose a part of our connection, temporarily, with the eternal but we can use this opportunity to think and act practically; to change that which is rooted in not-truth (illusion) to truth. Here’s a wee exercise to complete during the two hour window of opportunity that the solar eclipse brings you. Write down the answers to these questions by hand on notepaper to keep with you over the coming months. What are all the things that you are doing right now that you feel not-good about after you’ve done them? What is the logic behind why you do these things? What are the consequences of continuing these actions (or thoughts) in the short, medium and long term? How do you feel shortly after you’ve been doing these things? List down all the not-good feelings. How would you prefer to feel instead? List all the good feelings. What would you be doing differently that would engender these good feelings? What would be the consequences of doing these different things that would bring you good feelings? So what is that you commit to stop doing and what do you commit to doing differently instead? Will you start on or before the Spring Equinox? If your answer is “yes”, do it. Switch from doing those things that make you feel not-good to things that make you feel good. An extract from my forthcoming book, How to Be a Friend of the Devil Within (Quick Guides to Ancient Wisdom Series, No 2 & Mindfulness Exercises in Relationships, No 2). Author’s note – The scientific citations in this section are drawn from Zeitgeist Moving Forward by Peter Joseph – for me, a life changing movie. One of the most crazy-making and yet widespread and potentially dangerous notions is: “Oh, that behaviour is genetic”. I recently came across an article that substantiates the non-addictiveness of substances, in the case of heroin, in The Likely Cause of Addiction Has Been Discovered, and It Is Not What You Think, by Johan Currie, author of Chasing The Scream: The First and Last Days of the War on Drugs (ref: The Huffington Post, 23/1/2015). Currie reports of a study that some 20% of soldiers serving in the Vietnam War became addicted to heroin. Upon returning home, some 95% of the addicted soldiers – according to the same study – simply stopped. Very few had ‘rehab’. The cause of the heroin addiction seemed to be the untenable environment of war. When the addicts returned to everyday life, the causation, for most of them, atrophied. But what about the 5% whose addiction did not atrophy simply? We have to look at the whole life experience… and that process begins in the womb. The relationship we share with our mothers, from the ‘information’ they share through their blood (e.g. stress related hormones or agents from substances such as alcohol or tobacco) in the womb, through to the early years of childhood, shapes the relationship we have with our own physical bodies. By considering addiction as a process of physical-self-abuse, you can perhaps see how ancient wisdom is concomitant with scientific study. People with unresolved, especially serious, issues with their mother are more likely to inflict abuse on their own physical bodies, through addictions or other forms of self-harm. Through addictions, you cut yourself off from your awareness of the light and shadow within. And, in doing so, you effectively cut yourself off from your journey to love, your spiritual journey. Your life shall remain incomplete. Author’s note – I have addictive traits to my personality but I have never considered myself to be addicted to a life threatening substance. I, thus, cannot speak ‘first-hand’ about tackling issues associated with alcoholism, drug addiction or other compulsions. Friends of mine, who admit to being “addicts” or “users” in recovery, have successfully used the 12 Step Programme. Originally published by Alcoholics Anonymous, the 12 Step Programme nowadays is recognised as de jure by many of the leading organisations (e.g. Narcotics Anonymous and Overeaters Anonymous) who help people to live a new and healthy lives, through new codes of behaviour. 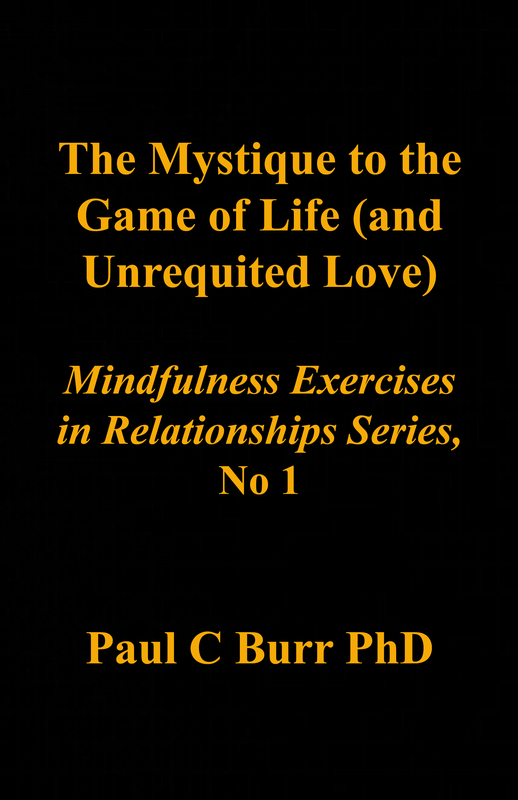 Extract from The Mystique to the Game of Life (and Unrequited Love) and adapted, in part, from Druid wisdom (ref: Light and Life, a series of booklets written by David Loxley, Chief Druid, The Druid Order, London). Success is the goal, but life is the time and space that happens in between now and reaching that goal. You attract the future that comes towards you. The future presents you with what remains incomplete right now in your life. The future presents the present with the opportunity to learn about yourself, (conscious and especially sub-conscious sources of anger, hurt, shame and fear) incomplete wisdom – AND apply the wisdom gleaned to release these ‘incompletions’ – completeness. Should you complete what is incomplete, it travels into the past and need not return. The game of life was understood by the Egyptians in the time of the Ancient Kingdom (pre 3000BCE). Whatever travels into the past that remains incomplete ‘returns to the future’. Whatever issues (i.e. unlearned or unapplied wisdom) that remain incomplete, be they business or personal, return again and again until you complete them. You know something is incomplete when you have allowed any residual anger, hurt, shame or fear to control your thoughts, deeds or words. In this earthly realm you cannot have anything without having ‘not-that-thing’ to compare it with. This is the nature of duality. For example, you cannot know what ‘wet’ is without knowing what not-wet, ‘dry’, is. Tall/short, wide/narrow, hot/cold, light/dark: anything you come up with has its dual. Some things are directly opposed as such with a continuum of gradualness between them, e.g. cold – warm – hot, negative – neutral – positive. Some things are binary: on/off, male/female, truth/illusion, love/fear. As you journey through life, who teaches you love? How do you know what love is? You start with a definition of love given to you by your parents. From adolescence onwards you shape that definition through the relationships that come towards you (from the future). If you listen, relationships tell you what you don’t love about yourself. The future presents you with what is incomplete in your wisdom of love; the opportunity to discern love from not-love (fear). Whether you choose to learn – and more importantly apply – that wisdom, is up to you. When you are presented with not-love in a relationship that is precious to you, in an indirect way, you are being given the opportunity to learn to love regardless of what the other person does: real love, unconditional love. The best example of unconditional love, I can think of, is the kind of love a grandparent can have for their grandchild. Should you choose to apply not-love, i.e. you choose to ignore (not-learn) the wisdom of love, then the ‘opportunity to learn and apply love’ passes into past only to return to the future. You appreciate this when you notice that you attract a series of repeating patterns in relationship after relationship. The next bit took me a wee while to figure out. It’s subtle. You may want to read it a few times because I didn’t get it first, second or even the third time around. In the context of this book, let’s say that you’re in love with someone. You define success as having a long term loving and intimate relationship with that person. (Success can be any outcome you want in life by the way, e.g. a big house, a job, health, a sales victory, anything.) Alongside success, in the future, sits not-success (I am deliberately avoiding the f-word). Your purpose in life is to find, open, become and express your true nature, the ‘real you’, the hu-man (= light being) in you. Outcomes, goals and targets are, by comparison, external things in life that we set out to achieve that we feel will give us a sense of fulfilment or security. Yet, for example, there is nothing intrinsically of value with money, diamonds or gold. We can’t do anything with these things unless there is common agreement that they are valued by others and can be used to barter for things we want. Money doesn’t teach us per se about love or light. It does equip us to have a materially comfortable lifestyle but it doesn’t, of itself, do anything for us spiritually. Yet the journey to achieving money (or anything for that matter) is a spiritual journey because life (the future) will present (in every given moment, the present tense) you with what is incomplete in your life – people, events situations that reflect those ‘parts’ within you that stand in the way of you becoming your true nature. You manifest these ‘parts’ in the form of anger, hurt, shame and fear. When you define and go for future success in terms of love, money or wellbeing then not-love, not money, not-wellbeing exists in the future as well. There is what seems a natural and logical tendency to avoid not-success and this is why and where you attract it. Let’s get commercial for a paragraph. Take sales for example. Let’s say you’re in a competitive bid to win a sales campaign and the customer has objections, some of which might be hidden, to your proposal. If you attempt to deny the customer’s right to air their objections by ignoring them or arguing with the customer about the fallacy of their logic or perception, you undervalue your bid. If on the other hand you seek out any hidden objection but fear to handle it, (i.e. you fear to… reframe any misperceptions or resolve genuine problems with and counterbalance genuine drawbacks to your proposal) then you allow the objection to take control of the sales situation, i.e. you allow fear to control your actions and that fear can spread to the customer. If you allow fear to seize control, you can end up doing nothing, perhaps like ‘a rabbit caught in headlights’. Your sales proposal may thus be regarded as ‘incomplete’ in the value it offers. Let’s cover wealth and not-wealth, i.e. poverty (something I was very fearful of for most of my life). Most people I meet fear poverty. When you seek wealth through actions borne of the fear of poverty, you may well succeed. You may earn a vast fortune and distance yourself materially from poverty; by more than you could expect to spend in a lifetime. Do you feel secure? You may well do. Have you released yourself from the fear of poverty? No: if by some chance you lost your fortune, the fear of poverty may well return. Actions borne of fear, even when hugely successful, do not release that fear. They simply keep that fear in abeyance. The journey to your true nature remains incomplete. Let’s get back to the relationship you want. If you apply and only apply love, enthusiasm, compassion, patience and completeness to your quest then you are on the right track to success. What do I mean by completeness? Completeness means acknowledgement of any anger, hurt, shame and fear that the image of not-success presents you. If you attempt to avoid not-success through thoughts, deeds and words borne of anger, hurt, shame or fear; you are denying yourself the opportunity to release these negative emotions; they control you. But they are not the ‘real you’, they are a shadow that hides the ‘real you’ from you – and those who love you and whom you love. Nor does it serve your life purpose to deny or banish these negative feelings. For you cannot ‘release’ what you do not acknowledge to possess. Update: Just this last year I have discovered that negative feelings are not there for ‘releasing’ in the sense of ‘let-them-go-elsewhere’. Instead, release them into the void, the space above (and between) the mental and emotional worlds within you and below the supernal you. Instead of the word ‘release’, these days, I prefer to use the term, ‘integrate’. To be explored in a future blog…. Accept vulnerabilities: as necessary to the human condition. Avoid allowing them to dictate your actions. Avoid denying them. Learning from vulnerability is fundamental to knowing what being invulnerable means. That’s the paradox of duality – you know something is wet because you know it’s not not-wet, i.e. dry. To understand invulnerability, allow yourself to ‘be ok being vulnerable’. As you learn more about vulnerability (defencelessness), you learn more about ‘not-vulnerabilty’, invulnerability. Defencelessness becomes your strength – when you learn to apply its wisdom. If you want to change something stop trying to control it. Self-love does not mean that you or life has to be perfect. You were designed to be incomplete. By all means strive to improve yourself or the life you lead AND ‘don’t beat yourself up for being imperfect’. You, your friends and acquaintances, your children and your enemies, none are perfect. Our job is to say (to our children), “You know what? You are imperfect, you are wired to struggle – BUT you are worthy of love and belonging”. That’s our job. Show me a generation of children raised like that and we’ll end, I think, the problems we see today. Be clear about your intended outcomes and commit to the journey to achieve them. The outcomes will not necessarily be spiritual. Yet the journey to complete – that which is incomplete (incomplete self-worth, incomplete self-love and incomplete love) – is always spiritual. Create love, moment by moment, through a cocktail of compassion, patience, self worth, faith-in-self, completeness, serenity, and joy – with a twist of enthusiasm and will-power. Shine on… & a Happy Winter Solstice! Mercury, closest to Helios, the Sun King, affects us all. The messenger of the gods, aka Hermes, brings wisdom but not always in the way you might expect, for He is also a trickster. He governs thinking, intellect and communications – and also rules computers, technology and travel. Mercury went retrograde (Rx) at 2deg Scorpio on Oct 4 and journeyed back into Libra until Oct 25. From there He moved forward again to retrace His steps back to Scorpio and stepped out of his ‘shadow’ on Nov 10 – ie He got back to His starting place at 2 deg Scorpio. Generally…. 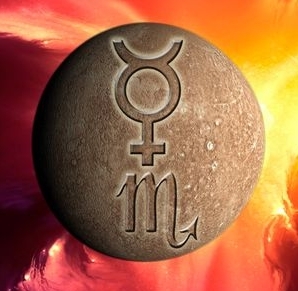 Mercury in Rx adversely affects communications, the interpretation of messages, creative thinking, new contracts, transportation, travel, mobiles, PC’s etc. It is not a good time generally until it at least He goes stationary to start any new contracts or liaisons – as our thinking is clouded. In Libra, Mercury will encourage you to revisit areas out of balance or lacking truth. The areas where you are giving/receiving to little/too much; areas where you are lulling others or are being lulled; deceit; economic truths…. and so on. The focus should be on the ‘re-‘ : Re-visit, re-think, re-vamp, re-live, re-connect, re-vise…. In Rx you will be given the chance to relive old experiences, situations etc. The ‘trick’ is to revise, ‘re-something’ where and when appropriate. Mercury re- entered Scorpio during the first week of Nov. Scorpio the sign of death (Halloween – the end/death of the pagan year where everything dies back into the earth/underworld ruled by Pluto) – which leads to transformation and then rebirth. Until Nov 27, now that Mercury is direct and out of its shadow, it is especially a good time to ‘kill off’ that (projects, situations, relationships) which is stultifying your creative thinking and intellect OR that which is borne of deceit. Mercury shows (obligingly) you the wisdom of truth and then attempts to steal it. He can only succeed if you allow Him to. Act from truth, love, compassion, patience, mindfulness and enthusiasm and you out-trick the trickster. Take a few moments to ‘harvest’ in all the new and enabling habits and developments in your inner world over the last 12 months. Pluto in Capricorn has finished its back-tracking and now moves direct in the sky again. Your ‘digging up of old ground’ is now over. To the ancients (and hippies), ‘dig’ means think, see, get-it. Did you, can you, dig it? Take stock as Pluto moves forward. Which lingering thoughts and habits no longer serve a useful purpose. Review those that you now wish to lay to rest. Harvest: celebrate as you acknowledge the new and bid farewell to the old. 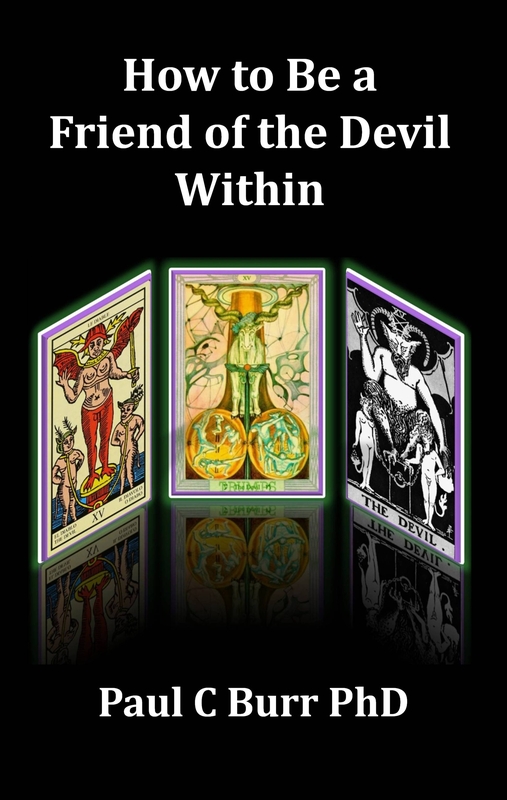 How can you bring more balance, truth and justice to your worlds, both outer and inner? 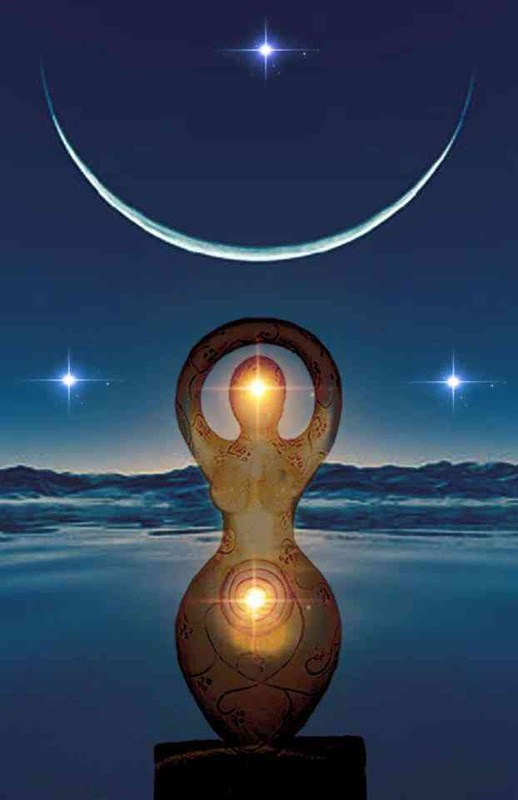 The New Moon in Libra and Pluto offers you the opportunity to transform and begin anew. Lilithian Love, that which created ‘what is’, the present tense was later split into duality; ‘what is not’, the past tense, born from the present tense, is created. The mythical love between Lilith and Adam is ‘what is’. 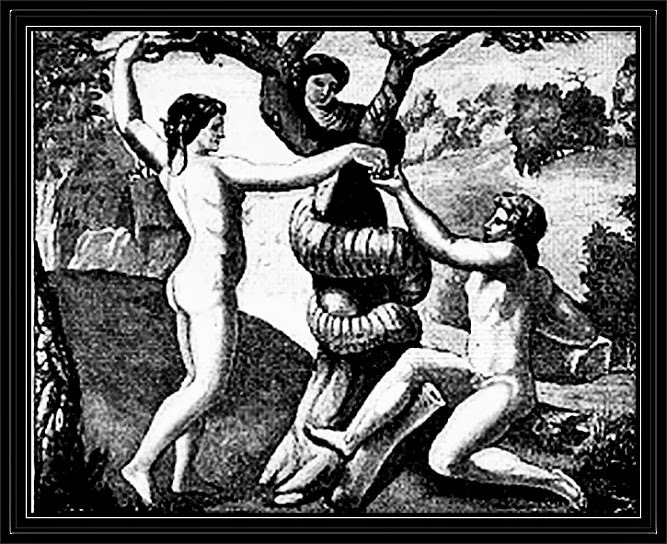 Eve, the past tense, the etymological root of ‘evil’, replaced Lilith who (according which legend) was either cast out or escaped into the wilderness. The war between the past and present began. But the war that takes place around us mirrors the war within us – between the past and the present, between not-love (fear) and love. Love is divine. All that is not divine is not love. 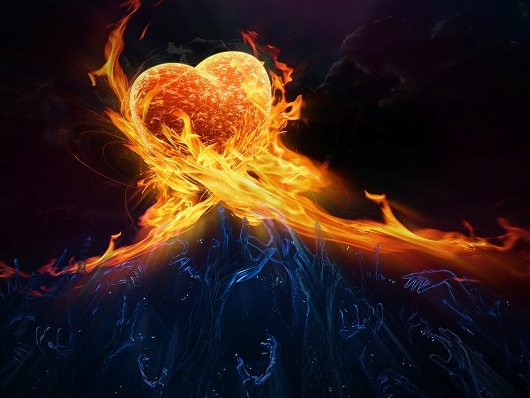 Shame, anger, sadness and fear are not love, not divine, nor are they borne of love. They dwell in the past or future, not the now. They reside in the head not the heart. They exist to be released, not conquered or embraced. And when you release them, nothing holds you back from your journey beyond their illusory boundaries, to love, truth and oneness. 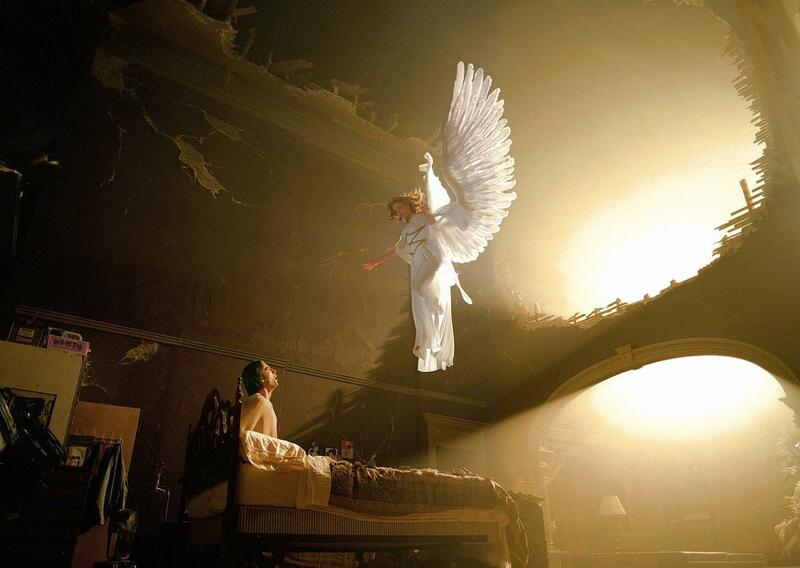 From my book, Defrag your Soul – define the word ‘divine’ as meaning ‘the highest spiritual influence of humankind’. What do you want to give to and receive from a relationship – SPIRITUALLY? 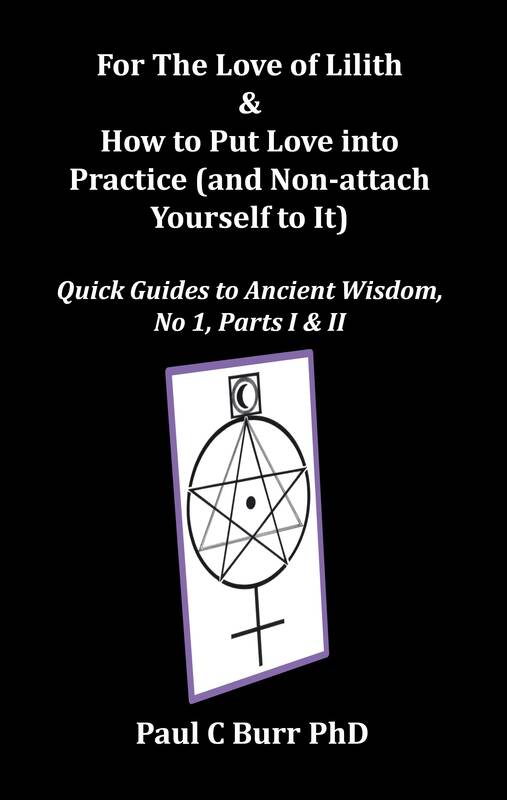 Extract from a self-help exercise in Part II of the newly published paperback version of For The Love of Lilith & How to Put Love into Practice (and Non-attach Yourself to It). What sense of purpose do you want the relationship to hold for you? What do you want you and your partner to create together and individually – for what purpose? What inner blocks [sources of anger, (toxic) shame, hurt or fear] do you want to release? What leaks (excessive and distractive habits that cause detriment to your livelihood) do you want to shore up? What inner qualities do you want to bring (more) to the surface and express in your behaviour? For example: love, passion, creativity, fun – loving, compassion, patience, self esteem, inner security, inner harmony, assertiveness, motivation, competence, curiosity, good manners, and eventually completeness! How will you demonstrate these inner qualities? What will you be doing differently or more of, individually or together? Now available from Createspace and Amazon US & UK. 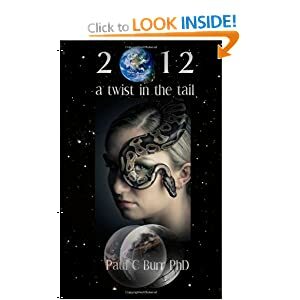 Kindle versions now available from Amazon US, UK and other regions. epub/ipad/iphone, kindle and further electric versions available from Smashwords. The above inner qualities should integrate with the emotional, physical and intellectual qualities you seek to share. We are encouraged in western convention to ask for forgiveness and forgive others ‘who trespass against us’. Nothing is random. You attract everything that happens to you. (If you don’t subscribe to this notion then act as if it were true for now and practise self-forgiveness as prescribed below. You’ll find it self-empowering.) If ‘something untoward’ happens to you, you attracted it for a reason. If you’re going to forgive anyone, start by forgiving yourself for attracting that ‘something untoward’ into your life in the first place. Even when I understood this, I still got the wrong end of the stick for a while. Here’s the question. Which part of me is to (self-) forgive which other part of me? Which part of me has the right? Which part of me has the desire? Not the heart, it doesn’t judge. Like the sun, the heart shines on all. If the heart doesn’t judge, the notion of forgiving myself for doing ‘something bad’ is non-existent, in the heart that is. Conventional self-forgiveness (‘good’ forgiving ‘bad’) is nothing more than a head trip. It’s all in the mind. It’s perhaps a start in the right direction. You may wish to forgive yourself or someone else with good intention. But if your forgiving is borne of a moralistic judgement it’s not from the heart and thus fundamentally flawed. Real forgiveness is ‘being’ as if the thing that which was untoward never occurred in the first place. Forgiveness is more than something you do; it’s who you are – in your thoughts, intentions, actions when you operate from the heart, from spirit. That’s what being in the present, moment-by-moment, actualises: self-forgiveness, free from the past, free from fear, free to be who you really are, spirit in human form, light (hu-man means ‘light being’), love. And when you are love, being love, guess what? You free yourself to choose. You might start to experience feeling drained in the company of certain people whom you have known for some time. By and large, you’re used to spending extended periods of time with them. You may be doing or talking about ordinary day-to-day things with them. Yet for some reason their company starts to drain your energy. What’s happening? Unbeknownst to you both, they are tapping into your chi and taking it for themselves. At a subconscious level they want your energy. Your wariness is not activated because you enjoy their company. After a period of time and for no apparent reason, you may experience an anxiety attack or feel tired. You don’t see it coming and they don’t know that they are depleting your life-force. It occurred two or three times with each friendly vampire I know before I noticed what was happening. If you notice an ‘attack’ happening to you, find some activity, on your own, every 2-3 hours, to repair your energy levels, e.g. meditation, exercise or tai chi. And perhaps, see your friendly vamps less often until you are strong enough to withstand any attack. Leaks feel like small ‘port holes’ in your body. I had a pair in my back, positioned roughly where my kidneys are. During and after a psychic attack, the ‘port holes’ were created by what, I imagined to be, a pair of teeth would feel like once they’ve sunk into your skin. I’ve also had another pair just below my cranium at the back of my skull. Shore up the chi-leaks and clean up: cleanse and erase the port holes. Here’s technique I came up with to help myself. It took me about six months to shore up the leak holes through which my friendly vamps drained my chi. If you use it I hope it will alleviate any discomfort and provide you with a wealth of intuitive information (like it did for me). In practical terms if you feel you may have been ‘attacked’ (You will anger, hurt, shame, fear or perhaps drained of energy), scan your body. Notice where you feel the negative emotion. For example, when hurt badly I feel a block in the centre of my chest, and when stressed I get a block about four inches higher, in the centre of my sternum. 1. Close your eyes and take two or three deep breaths. Regulate your breathing to a count of 4 on each inhalation and exhalation. 2. As you exhale, ‘breathe light’ into the affected part of your body through your Third Eye or Brow Centre, just above and between your eyebrows until some level of composure returns to you. 3. The more you practise, the stronger your imagination, the quicker the time to releasing the negative emotion so that a sense of composure fills your body. Composure is the ability to neither feed nor fight the most negative of emotions (anger, hurt, shame, and fear) when under duress. I place the word ‘stillness’ in my mind. I place the word ‘peace’ behind my heart. I place the word ‘power’ in my abdomen. … as I shine light on to the affected part of my body. Allow any information stored in the affected area of your body to travel back up the ray of light. 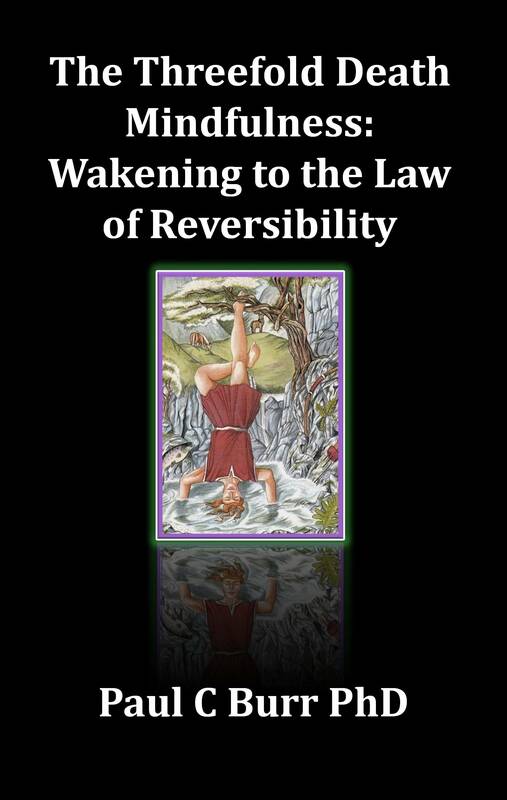 With patience you may receive insight into the nature of unconscious fears and pacts, dysfunctional assumptions, and limiting core beliefs you hold about yourself. Once you receive such wisdom you have the opportunity to act on it. Notice, for example, where and how you over-react to situations. Make the linkages with lingering fears and pacts, dysfunctional assumptions, and limiting core beliefs. You can place these issues into imaginary bubbles in front of you and shine light into the bubbles as well. Notice any changes in the appearance of the bubbles as you do this and any corresponding changes that go on in your body and mind. Please feedback your experience using the above technique over a period of time. Many thanks. The dark, a-void between us, too great to span. Too dark to look back on, too hurtful to recall. I descend the depths where my light shines dimly. In the smoke below, the beast takes form. And the beast is gone. Into the black I see a face, familiar. The billows part to reveal a mirror. I feel a fool, pathetic. Practise love, self-love first, and thence for all. Practise compassion, self-compassion first, and thence for all. Our meal complete, the angel leaves. I ascend from the (a)void and see you close, to its edge. Tonight you have the opportunity to cross the bridge to your inner world and see your true emotions. Bathe in the essence of who you really are, knowing that the darkness contains nothing (to fear) but unlived possibilities. Only fear (= not-love) stops these possibilities from becoming a reality. Shine light into the shadows (i.e. every time you sense fear). Commit to the ‘Journey to Love’ without knowing where it will take you. That upon which light shines becomes that light.